Mike is determined to give children what he didn’t have as a child: the power of knowledge to recognize sexual abuse. That’s why Mike developed his ground-breaking coloring book especially for young children. Developmentally appropriate, accurate, and non-threatening, this coloring book is unlike any other – it’s interactive, appeals to both boys and girls, addresses all of the most common types of sexual abuse, and includes action steps that empower children to tell a safe adult if they have experienced abusive behavior. 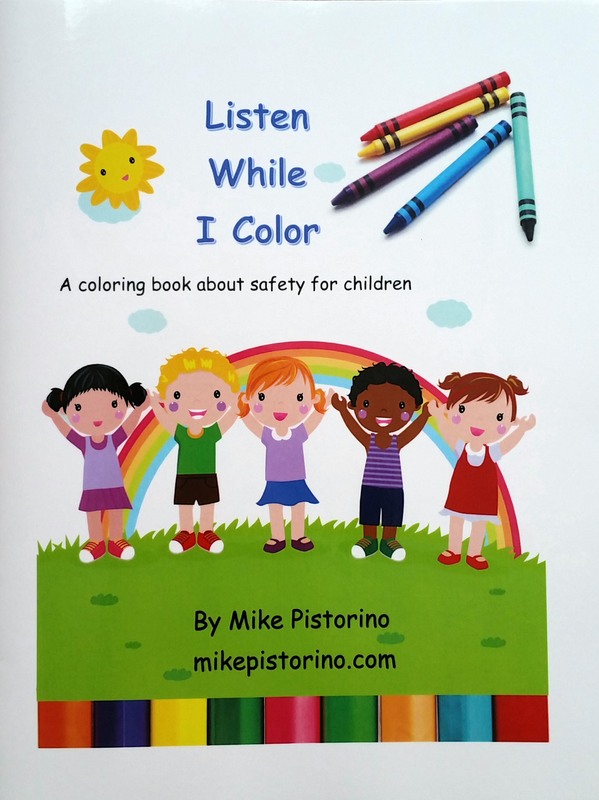 Mike’s coloring book has been used and endorsed by educators, mental health professionals, law enforcement officials, and parents. Most importantly, the book has helped over two dozen children to disclose sexual abuse, resulting in the abuse stopping, and the children getting the help they need to heal and to be safe. Interested in learning more about Mike’s coloring book? Contact him today at info@MikePistorino.com.